This fall craft is easy cheap and very pretty! 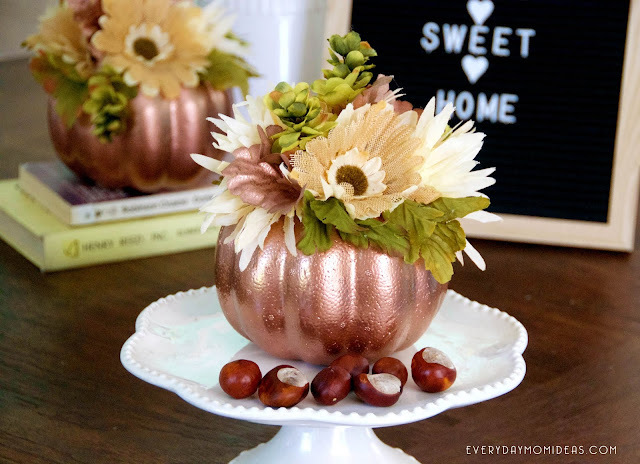 With just a few things from the dollar store and your favorite spray paint you can make copper floral pumpkins to cover your house in. These pumpkins average out from $1.50 each to $3.00 each and only take about 15 minutes to make plus spray paint dry time. I made these for Halloween but Im keeping them up for Thanksgiving because they also make the perfect fall-tactic addition to my turkey day decorations as well. Pumpkins: You can find medium or small stylophone pumpkins at you dollar store starting around august. The medium ones make great tables cape decor and are just about perfect anywhere in your house. 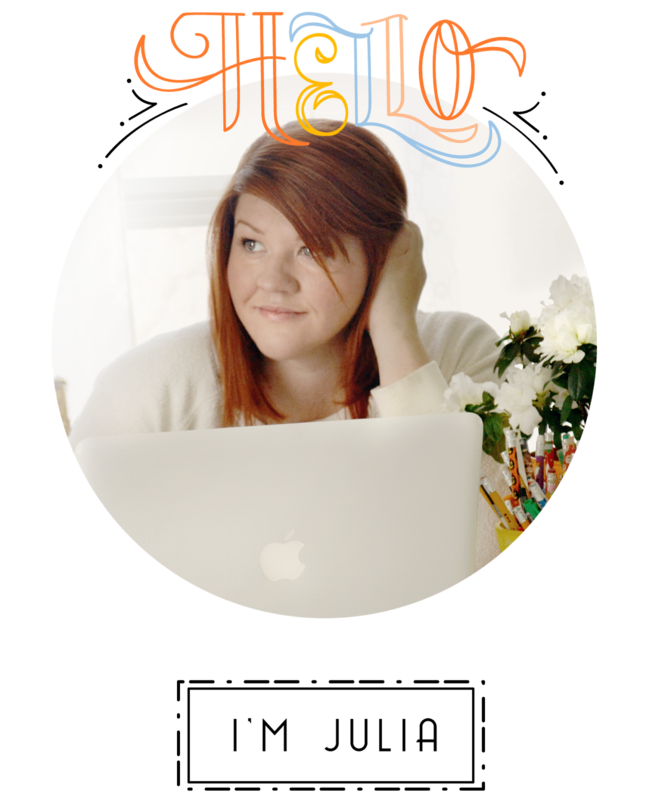 Flowers: You can get some pretty cute fake flowers at the dollar store. To get the look here try to find ones that are a cream and white color with a few leaves on the floral bunch. 1. Spray paint two coasts of metallic copper paint on the foam pumpkins and let dry over night for best results. 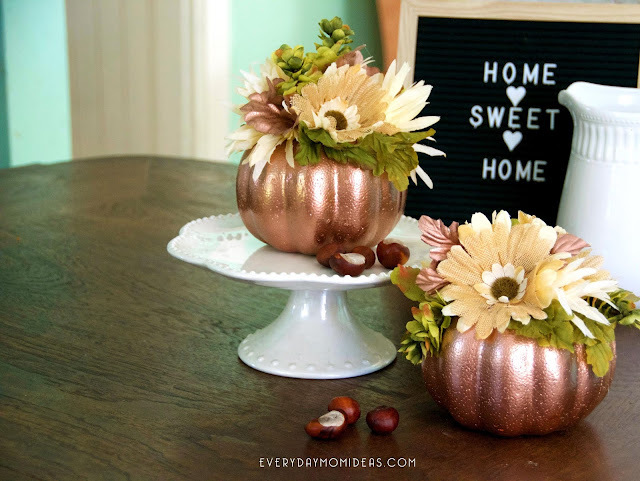 Tip: I took a four to six of the faux leaves and spray painted them copper as well. 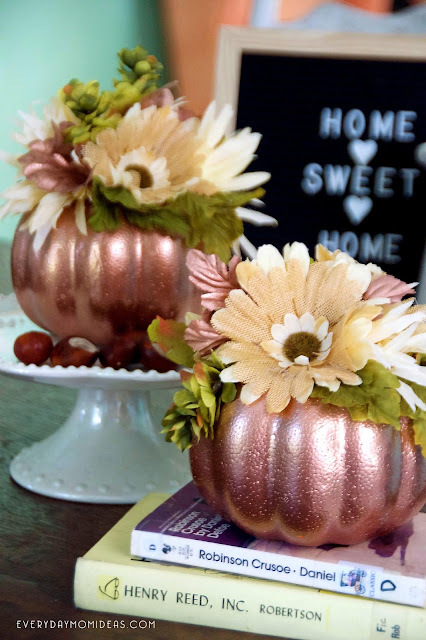 They look so pretty with a pop of metallic copper along with the flowers and other leaves on top of the pumpkins. 2. Take all the flowers and leaves off the stems. Hot glue the flowers on first then hot glue the greenery in between to fill in the gaps. I did not count in the spray paint for the cost because I always have left over spray paint just laying around in the garage needing to be used. 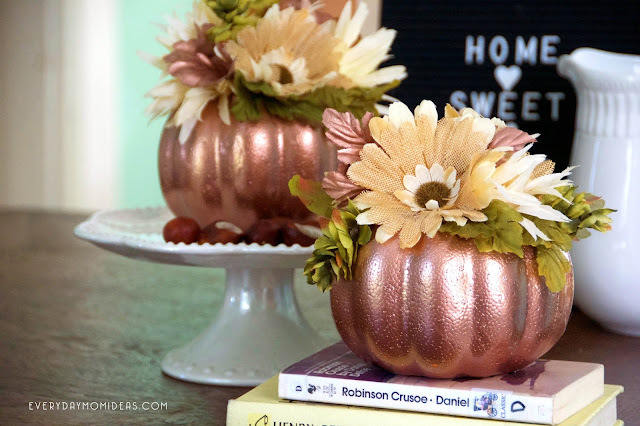 These pumpkins would also look great in gold or white. I like these earth tones because they go so we'll with the season and almost anyones decor. Remember sharing is caring. 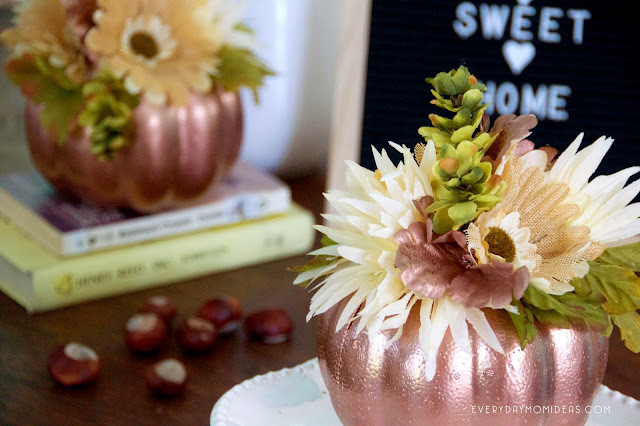 Show you care and share this Pinterest friendly image below with your friends and family or save to make these next fall. 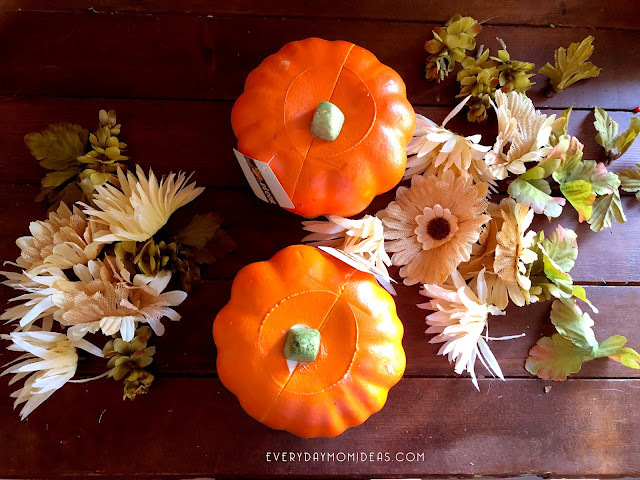 These pumpkins are absolutely beautiful!